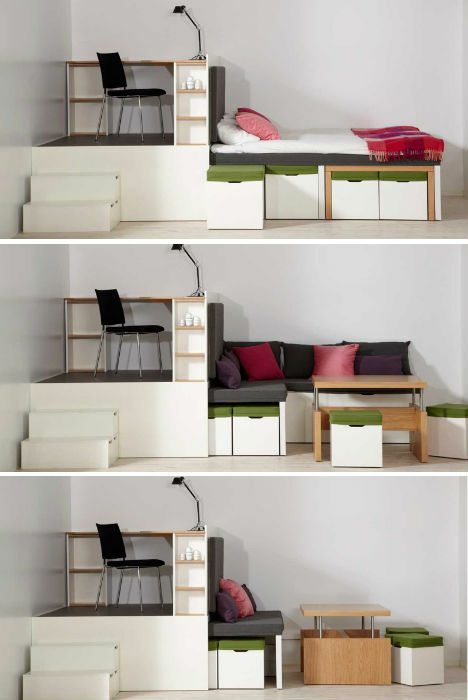 Starting as a compact rectangle measuring just 13 square feet, the Matroshka all-in-one furniture set just continues to unfold, slide out and transform again and again until you think there can’t possibly be another function hidden inside it. And yet, somehow, there is. Named for the Russian nesting dolls, this space-saving furniture set includes bookshelves, a double bed, a corner couch, a desk, a wardrobe, a dining table, four stools and additional storage. 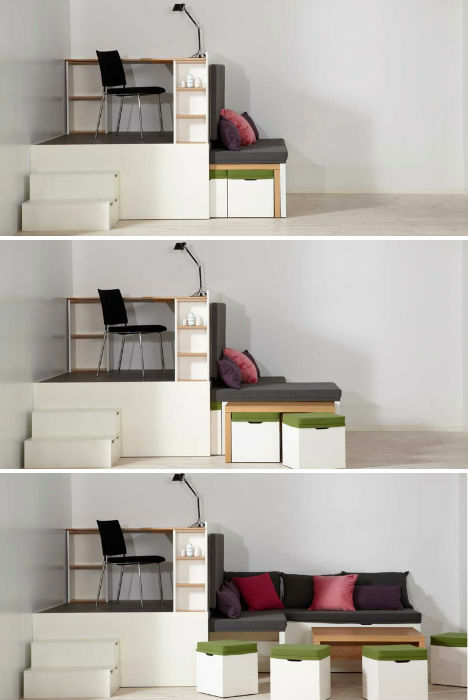 The bed platform slides out from underneath the desk platform; take away a piece, and you’ve got the couch. 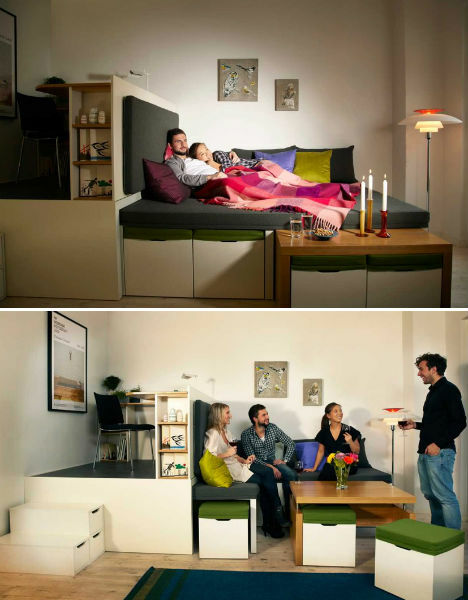 A coffee table concealing four stools (with storage space inside, of course) also emerges from the bed platform, and rises to become a dining table. There’s also storage hidden under the stairs. The set incorporates virtually ever piece of furniture you need, even for entertaining guests, yet it could fit inside a fairly small room. There are enough seats for 12 people to sit around the table. 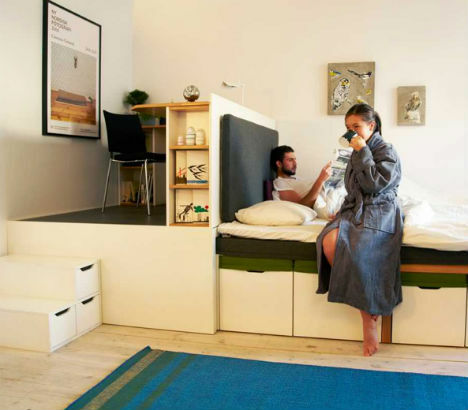 This makes it an ideal choice for the micro apartments that are growing increasingly popular around the world. The Matroshka started out as a prototype, and thanks to investors, it’s now yours to own. Available from furniture dealers in Sweden and the UK, the Matroshka furniture set is made at a joinery workshop in Northern Sweden using birch plywood, oak veneer and Swedish woolen fabrics. It comes in your choice of left- or right-facing.